“Every action I take, I will ask myself: does this make life better for young Americans in Baltimore, Chicago, Detroit, Ferguson who have as much of a right to live out their dreams as any other child in America?” Those were words stated by then-candidate Donald Trump at the 2016 Republican National Convention. Well, Mr. President, your administration’s proposal to cut HUD’s budget by $7.7 billion will do anything but that. While President Donald Trump is expected to send Congress a high-level budget proposal for Fiscal Year 2018 next week, an overview of early drafts by the Washington Post shows the severity of cuts under consideration. Multiple sources confirm that the administration could slash HUD’s budget by as much as $7.7 billion from FY17 funding levels, a 16% cut. Cut funding for public housing repairs by $1.3 billion or 68%. Cut funding for Housing Choice Vouchers by $980 million, adjusted for inflation. Such a cut translates to 200,000 vouchers lost. Cut funding that would result in approximately 10,000 homes for seniors and 6,000 homes for people with disabilities being lost. Cut funding for Native American communities—that have some of the worst housing and most dire housing needs in America—by a 25% or $150 million. Eliminate the Community Development Block Grant program (CDBG), the HOME Investment Partnerships program (HOME), the Choice Neighborhoods Initiative, and the Self-Help Housing Opportunity Program (SHOP). With a national shortage of 7.4 million homes affordable and available to the lowest income people in the country, these cuts are not only unacceptable—they are downright dangerous. Such cuts would likely lead to more families facing eviction and living on the streets instead of having a warm, stable and affordable home—a place where their children can play and do their homework, where seniors can live out their golden years, or where people with disabilities don’t have to worry about accessibility issues. In the Chicago metro area, the city Mr. Trump often speaks of, there is a shortage of 264,000 homes that are affordable and available to the lowest income renters. That means for every 100 extremely low income renter households, there are only 26 homes that are affordable and available to them. Seventy-six percent of these lowest income renters in Chicago spend more than half of their income on rent, leaving them one emergency away from homelessness. The proposed cuts would seriously exacerbate this shortage. They would allow public housing properties, which are chronically underfunded, to fall further into disrepair, putting at risk the homes of more than 1 million residents who are often elderly, have a disability, or both. People who could lose the rental assistance they receive from HUD, like Housing Choice Vouchers, would have to pay even more of their limited income on rent. As a result, they would have fewer resources to spend on other basic essentials, like food, healthcare, and education—the very things that help kids reach their full potential. And by eliminating block grant resources for community development and housing production, the Trump budget would undermine the ability for states and communities to invest in their communities, address their housing shortage, and meet other pressing needs. So again, how does a $7.7 billion cut to the HUD, which has lifted four million people out of poverty—including 1.5 million children—make life better for kids growing up in Chicago or any other community in the U.S.? If anything, we should be increasing federal investments in affordable housing. Such investments provide families and communities with the resources they need to thrive. Access to affordable housing has wide-ranging, positive impacts. Evidence-based research has shown that when families have stable, decent, and accessible homes that they can afford, they are better able to find employment, achieve economic mobility, perform better in school, and maintain improved health. Increasing and preserving access to affordable housing in areas of opportunity helps families climb the economic ladder, leading to greater community development and bolstering economic productivity and job creation. In contrast, evidence has also shown that people, especially children, experience poor outcomes in many areas of their lives when they experience homelessness and housing instability. It’s time for advocates to speak out against these cuts by contacting their members of Congress. Tell your lawmakers any further cuts to HUD are unacceptable and will hurt the very people they represent. The NLIHC-led Campaign for Housing and Community Development Funding (CHCDF) will be hosting a webinar on March 20* to discuss the proposed budget cuts and ways to effectively engage lawmakers. We hope you’ll join! What Will President Trump Mean for Affordable Housing? With last week’s historic election, Donald J. Trump will become our nation’s 45th President. As he begins his term in office, he will have the support of a Republican-led House and Senate, giving him and his party a significant opportunity to enact their legislative priorities in the 115th Congress. The threats to federal affordable housing programs are real and significant. It is now more important than ever for NLIHC and our partners to continue to advocate for the extremely low income families in our communities and to ensure that their voices are heard. To learn more about what to expect and how you make a difference, RSVP for NLIHC’s upcoming election webinar on Friday, December 2, 1 pm ET. In the meantime, below is our take on what the election means for affordable housing. Before the end of President Obama’s term in office, Congress will need to decide whether to enact its Fiscal Year (FY) 2017 appropriations bills—including spending on affordable housing and community development—or pass another short-term stopgap spending measure known as a Continuing Resolution (CR). If the Republican-led Congress decides to pass a CR through next spring or longer, investments in vital programs at HUD and USDA will be at risk. The next Congress could revise FY17 spending bills to add deep funding cuts. As a result, thousands of families and children could lose access to stable housing, putting them at increased risk of homelessness. For more information on the risk of a long-term CR, go here. In President Trump’s first 100 days, he and Congress will face two legislative hurdles that directly impact federal spending on affordable housing: sequestration and the debt ceiling. When the Budget Control Act of 2011 was signed into law, it set in motion very low spending caps, limiting federal funding for defense and non-defense discretionary programs. Since then, Congress has reached short-term agreements to increase spending above the caps to avoid sequestration—or across-the-board spending cuts that are triggered when Congress spends more than the caps allow. Last year, Congress reached an agreement to increase the spending caps for Fiscal FY17 and to suspend the debt ceiling through March 2017. This means that low spending caps and the debt ceiling are slated to return for the FY18 budget. Under President Obama, Democrats fought hard to ensure parity so that the impact of these spending caps fell equally on defense and non-defense programs. President-elect Trump, however, is committed to eliminating parity by protecting defense programs from any spending caps and putting the full weight of these budget limitations on non-defense programs. Moreover, he proposed cutting non-defense spending by an additional 1% each year for the next 10 years—a proposal that could decimate HUD and USDA programs and likely increase housing poverty and homelessness. NLIHC and our partners will need to protect affordable housing resources from deep, crippling funding cuts. We expect that dismantling fair housing regulations will be at the top of Congress’ and the new Administration’s priorities. This includes preventing HUD from implementing its Affirmatively Furthering Fair Housing (AFFH) rule, which is designed to provide state and local governments with the guidance and tools they need to better address fair housing barriers and to help ensure federal funds are more fairly and effectively invested in communities across America. While on the campaign trail, President-elect Trump indicated that, if elected, he would rescind the AFFH rule. It is possible that the Trump Administration will also try to roll back recent HUD fair housing guidance on the use of criminal records by landlords, and the enforcement of local nuisance and crime-free ordinances. Recent progress made by the Obama administration in achieving the goals of the Fair Housing Act is at risk. The national Housing Trust Fund is the first new affordable housing tool in a generation. It is exclusively focused on making housing affordable for families with the greatest, clearest needs—those with extremely low incomes. With a Republican-led Congress and White House, however, the future of the HTF may be at risk. It faces threats from all sides. President-elect Trump will soon appoint the next director of the Federal Housing Finance Agency (FHFA). FHFA oversees Fannie Mae and Freddie Mac, two government-sponsored entities (GSEs) under conservatorship that fund the HTF through a modest fee on their activity. The next director has broad authority to stop payments to the HTF, essentially eliminating funding for the program. More than eight years after the financial crisis, policy makers are still grappling with how to reform the GSEs. While there has been little focus on comprehensive housing finance reform in 2016, Congress will have to address this issue in some before the GSEs officially run out of capital by January 1, 2018. While most agree that the government should play some role in a new housing finance system, others would like to privatize it and phase out Fannie and Freddie. Conservative legislators may be emboldened by the election results to renew legislative efforts to phase out Fannie Mae and Freddie Mac. As part of this wind-down, the authorization for the HTF, as well as the Capital Magnet Fund, could be repealed. Other lawmakers may try to push legislation to directly defund the HTF so long as Fannie Mae and Freddie Mac remain under their current conservatorship. Even if Congress does not enact comprehensive housing finance reform legislation, the HTF could be at risk of the GSEs need a draw of cash from the Department of the Treasury. Because the terms of their conservatorship sweep profits to Treasury, instead of allowing them to be retained as operating capital, the likelihood of a draw is all but inevitable. Finally, the HTF faces threats through the budget process. As mentioned above, Congress is likely to propose deep cuts to non-defense discretionary spending, including funding for housing and community development. Under intense budget pressure, Congress may look to use funding for the HTF to plug holes in HUD’s budget. We may see a return of a harmful Senate proposal to convert all public housing into housing vouchers, as discussed at a recent Appropriations Committee hearing. NLIHC strongly opposes this proposal. Public housing is home to more than 1.1 million households and plays a critical role in providing safe, decent housing to families with the greatest needs. Research shows that the vast majority of the more than 2 million people who live in public housing want to see it improved and expanded, not eliminated. Moreover, NLIHC’s recent report, Spotlight on Housing: A Long Wait for Home, found high demand for public housing. In fact, the average waitlist for public housing is about 9 months. Among the largest public housing authorities, the waitlist is longer than 2 years. In many cities, the waiting list is so long that has been closed for years. Converting public housing into vouchers would result in a significant loss to low income families, local communities, and the federal government. In the new Congress, NLIHC will continue to monitor and oppose similar proposals, as well as other legislation harmful to public housing residents. With a Republican-led Congress and White House, there is an opportunity for the party to enact anti-poverty legislation based on Speaker Paul Ryan’s (R-WI) A Better Way agenda. NLIHC welcomes a national conversation on solutions to end poverty, and we are hopeful that there are some issues that NLIHC could work collaboratively with Congress and the administration on. This includes efforts to increase mobility among families with Housing Choice Vouchers. Increasing the supply of affordable housing and rental assistance—especially in areas connected to good schools, well-paying jobs, healthcare, and transportation—helps families climb the economic ladder and leads to greater economic and community development. This may be an area where NLIHC and the administration can work together. The A Better Way agenda includes several harmful proposals that could negatively impact families in need of affordable housing. The agenda proposes that ‘work-capable’ residents of HUD’s major housing programs be required to seek and retain employment, and that local jurisdictions administering housing programs be given the authority to implement educational training and time limits for assistance. The Low Income Housing Tax Credit (Housing Credit) faces greater risks and opportunities in the next term. President-elect Trump and his Republican Congress are committed to comprehensive tax reform in his first 100 days in office. Trump has proposed to lower the corporate tax rate from 35% to 15% and provide the largest tax cuts since the 1980s. In order to offset lost revenue, however, Congress would need to eliminate most tax expenditures. While Trump has not specifically mentioned the Housing Credit, the program could be at risk of significant cuts and even elimination. Moreover, reducing the corporate rate could negatively impact investor interest in the Housing Credit, since they would have less tax liability to offset. On the other hand, there may be an opportunity to expand the Housing Credit in an infrastructure investment package. There is also a greater opportunity to enact reforms to the Housing Credit, including those in S.3237, introduced by Senator Orrin Hatch (R-UT) and Maria Cantwell (D-WA). NLIHC strongly supports S.3237 because it includes reforms to help ensure that the Housing Credit can better serve families with the greatest, clearest needs—homeless individuals and families, extremely low income seniors, families with children, people with disabilities, and Native American and rural communities. A large-scale investment in infrastructure provides NLIHC and other housing advocates an opportunity to work with the Trump administration to expand affordable housing resources. President-elect Trump has proposed investing more than $550 billion in our nation’s infrastructure in order to spur economic growth, create new jobs, and increase wages for American workers. It is important that the administration understand why an investment in housing infrastructure should be a priority. Investing in affordable housing infrastructure—through new construction and preservation—bolsters productivity and economic growth, provides a long-term asset that connects low income families to communities of opportunity and economic mobility, and supports local job creation and increased incomes. NLIHC will work to ensure that any infrastructure spending package includes resources to expand the Housing Trust Fund, rehabilitate public housing, increase availability of Housing Choice Vouchers, among other critical investments. Over the next four years, NLIHC and other affordable housing advocates will continue to do what we’ve always done: advocate for extremely low income families. We need your help. We need your passion, your focus, your support, and your engagement to help us fight to protect and defend the critical resources that families and communities need to thrive. 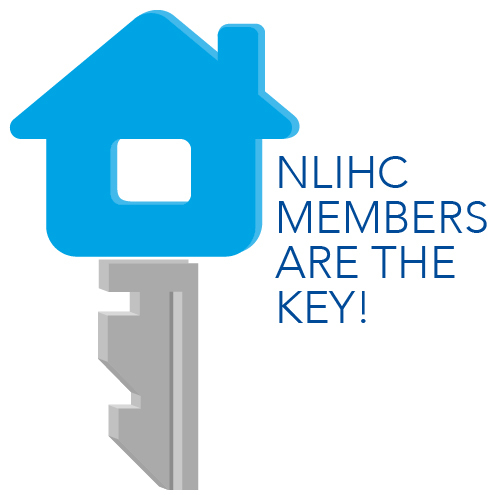 Please consider becoming a member of NLIHC or making a donation to help us continue our work to amplify the voices of the poorest families in need. Over the next few months, affordable housing and community development organizations have an opportunity to influence a number of critical issues before Congress and to help break through the noise of the presidential campaigns to make affordable housing an election issue. Join us for a discussion with NLIHC staff on our Summer/Fall Issues Guide and Sample Candidate Questionnaire. On the webinar, we’ll review five ways you can take action between now and the November elections to advocate for the issues that are most important to your mission, the people you serve, and your community. For more information and best practices on how nonprofit organizations and individuals can lobby their elected officials, see Lobbying: Individual and 501(c)(3) Organizations in NLIHC’s 2016 Advocates’ Guide. Join Organizations Across the Nation To Make Housing an Election Issue! The conventions are over. Candidates up and down the ballot are out on the campaign trail making promises and asking for votes. Let’s join forces to make sure that affordable housing is on their agenda. Please join NLIHC, Make Room, and organizations across the nation to send 1 million messages to Congress to get housing affordability on the agenda by Election Day. Join us. Sign your organization onto the national letter or sign up as an individual. Raise the profile of affordable housing issues locally. The Make Room Advocacy Toolkit includes sample letters to the editor, emails and e-newsletters, social media messages and website promos, and questions to ask members of Congress at town hall meetings. It also features best practices for meeting with your elected officials one-on-one or inviting them to tour affordable housing developments. Spread the word. Encourage other national, state, and local organizations, elected officials, and advocates who believe that housing is a critical resource for our communities to join the campaign. Our nation is facing a housing affordability crisis of record proportions. Too many Americans cannot make rent, and Congress has done little to ease this growing burden. Every day until Election Day, together let’s deliver one clear message to Congress: Americans cannot afford places to live and need help. Please join us! We cannot achieve our ambitious goal of 1 million messages without you. This summer and fall, Congress will be in their home districts and states between August 1 and September 6 and again between October 10 and November 11. To help advocates make full use of this time, NLIHC has created a Summer/Fall 2016 Advocacy Guide, outlining the five key ways organizations can take action between now and the November elections to advocate for the issues that are most important to their mission, the people they serve, and their community. Use NLIHC Voterization resources to engage voters and candidates. Together, these resources can help advocates make their voices heard and build strong relationships with their Members of Congress.